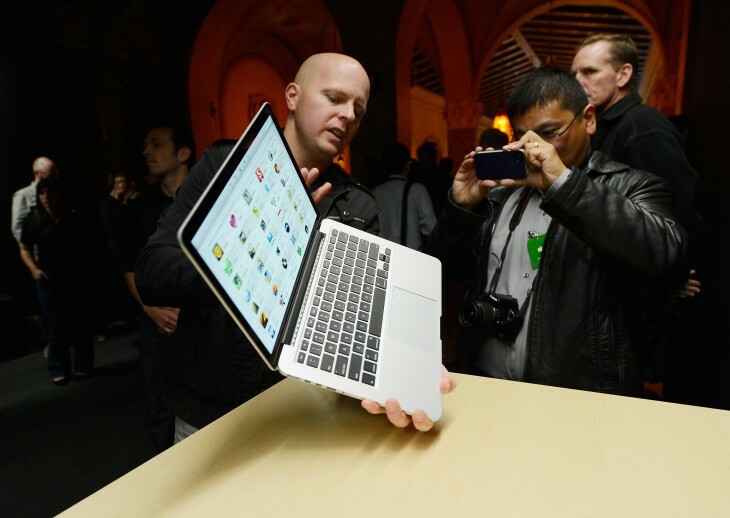 To coincide with a new Retina Display 16GB iPod touch, Apple has also dropped the price of its low-end 13-inch MacBook Pro for educational customers today. A quick glance at Apple’s online store shows that the standard MacBook Pro, which comes without Apple’s high density Retina Display, will now set consumers back $999. For reference, this is the model with the 2.5 GHz dual-core Intel Core i5 processor, combined with a 500GB hard drive and 4GB of memory. The high-end version, which comes with a 2.9GHz dual-core Intel Core i7 processor, 750GB hard-drive and 8GB of memory, has also been dropped to $1,299.00 today. Both versions have therefore been slashed by $100, making them a slightly more affordable prospect both for new students starting college and those who are just about to graduate. 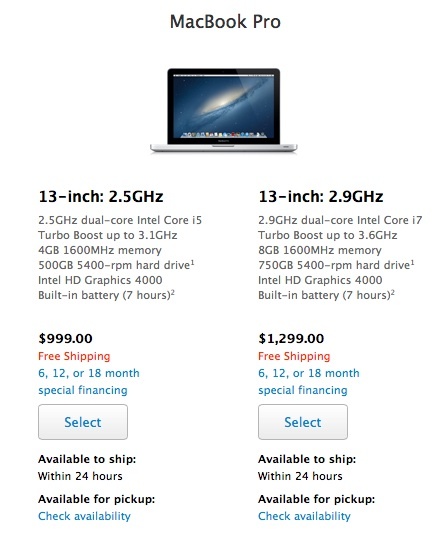 Interestingly, the standard 15-inch MacBook Pro model without a Retina Display remains at $1,699 as before. The Retina Display 13-inch MacBook Pro is also still being sold at $1,399, creating some a small but notable price gap between the two products. Apple hasn’t commented on the price-drop yet, but it’s likely a subtle move to quickly sell off a considerable number of non Retina Display models. With WWDC just around the corner, we wouldn’t be surprised if Apple refreshed the MacBook Pro again, either discontinuing the non Retina Display models entirely or giving them a further price drop for standard consumers.